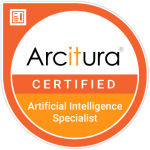 A Certified Artificial Intelligence Specialist has demonstrated proficiency in artificial intelligence (AI) approaches and algorithms, and proven skills for designing and validating AI solutions and modeling neural networks. 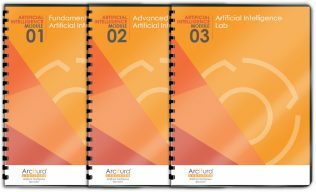 A Certified Artificial Intelligence Specialist understands how AI technologies, mechanisms and techniques can be utilized to design business automation solutions with unprecedented functionality and value. 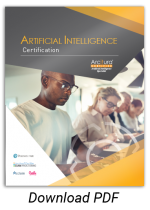 In addition to a demonstrated proficiency of AI principles and approaches, the Certified Artificial Intelligence Specialist has comprehensive knowledge of artificial neural networks and associated layers and components, as well as continuous and reinforcement learning. 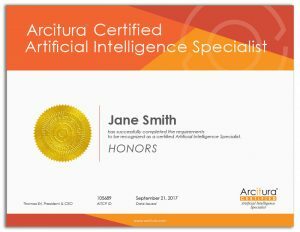 A Certified Artificial Intelligence Specialist further has an understanding of how AI relates to and can be utilized together with business intelligence, deep learning and machine learning. 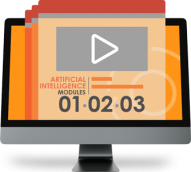 The Artificial Intelligence Specialist certification track is associated with the following courses, study kits and eLearning kits. The courses can be delivered via instructor-led training. 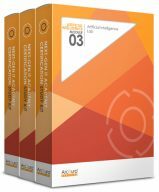 The study kits and eLearning kits include the course materials and additional supplements designed for self-study. 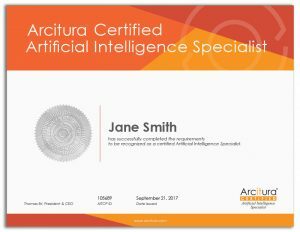 To achieve this certification, Exam AI90.01 must be completed with a passing grade.